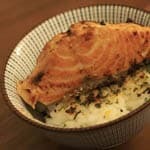 This Grilled Miso Salmon Fillet comes unexpected and spontaneously and is somehow a “new” creation of mine. I am really honest on this one. I came up with the simple idea and the underlying trick while preparing another Sake Sashimi dinner for Nawal and me. The great thing about Miso, besides its taste, is it’s versatility. It’s not only a great paste for soup or a dip, but it also works well as a marinade for fish or as a sauce to fry the fish in. I haven’t tried any meat or chicken combined with Miso so far, but after that one, it is inevitable – there will be more! Preheat the pan and the oil, but lower the heat to medium before adding the fish. 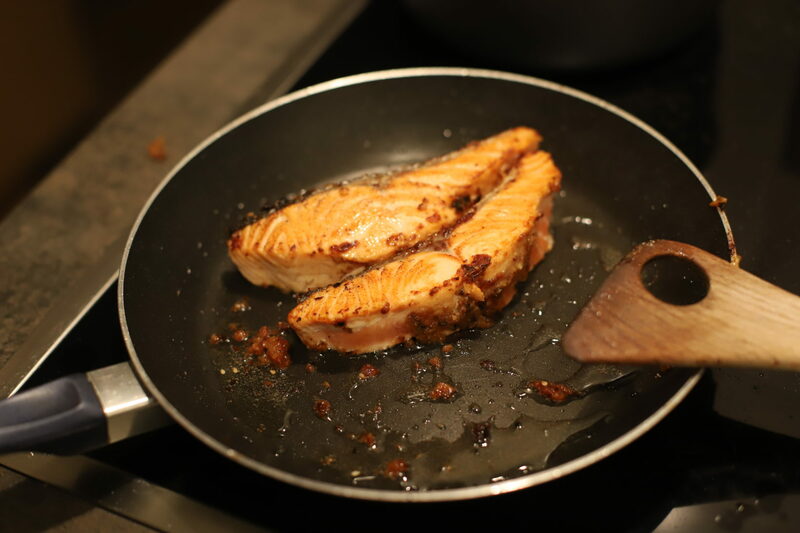 Use small fillets of Salmon, not too thick. Around 100-150 g will do the trick. 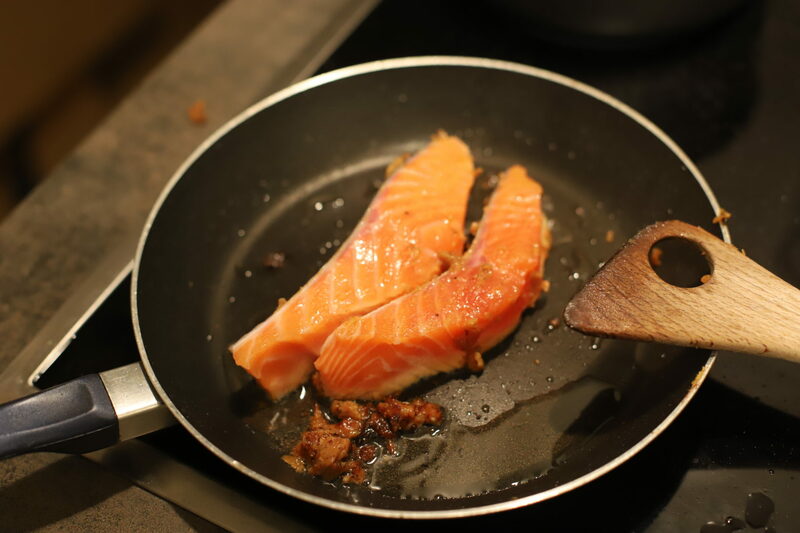 Fry the Salmon fillets on their broadside, each side 5-10 minutes. Always keep in mind, there is no rush and no need to use too much heat. Fish, Chicken and eggs only need a certain amount of heat on a constant level, but just for a short time. Sometimes turning off the heat when you still have a few layers to go and leaving the pan on the stove just does the trick for a tender, but well-done fillet of Chicken or Fish. 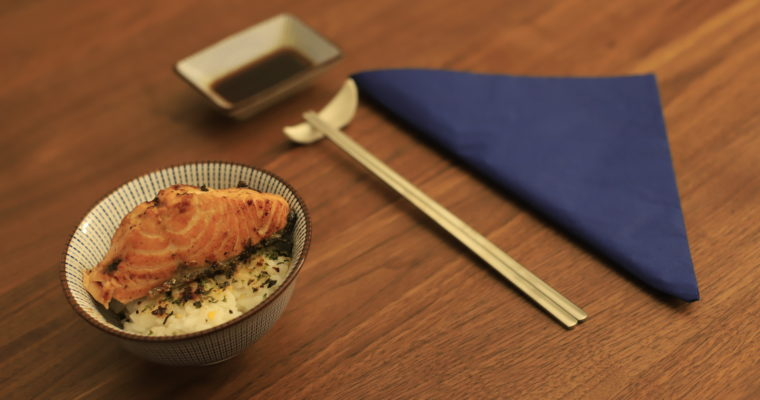 When serving, cut the fillets into halves and serve two halves on a small fresh bowl of Sushi rice. The taste is amazing and served in the right way on a fresh bowl of Sushi rice will make you feel having a 5-star-dinner at home. I also personally recommend this as a rather light, but fine main course combined with Sake Sashimi at the start. 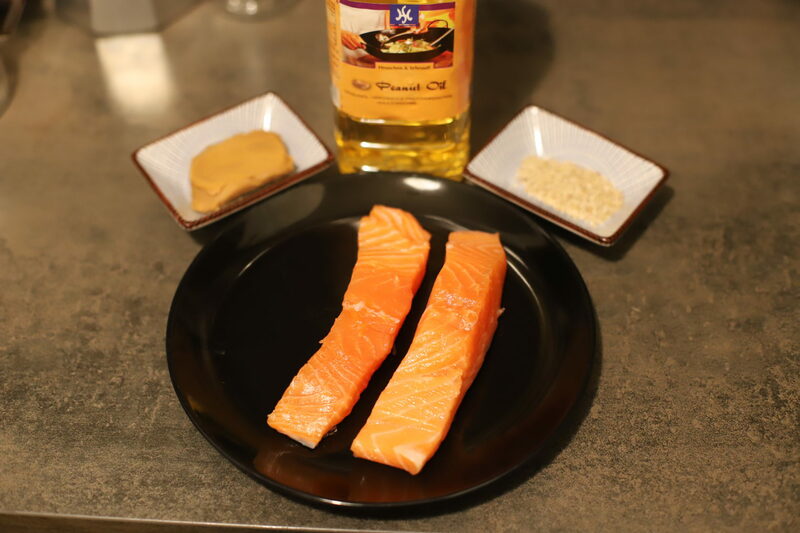 Feel free to comment and/or send me your thoughts on this grilled miso salmon recipe. This recipe makes a grilled miso salmon fillet for two people. It's best served with a bowl of sushi rice. Preheat a frying pan with the Peanut oil. Cut the fillet in two equally sized pieces. Adjust to medium heat. 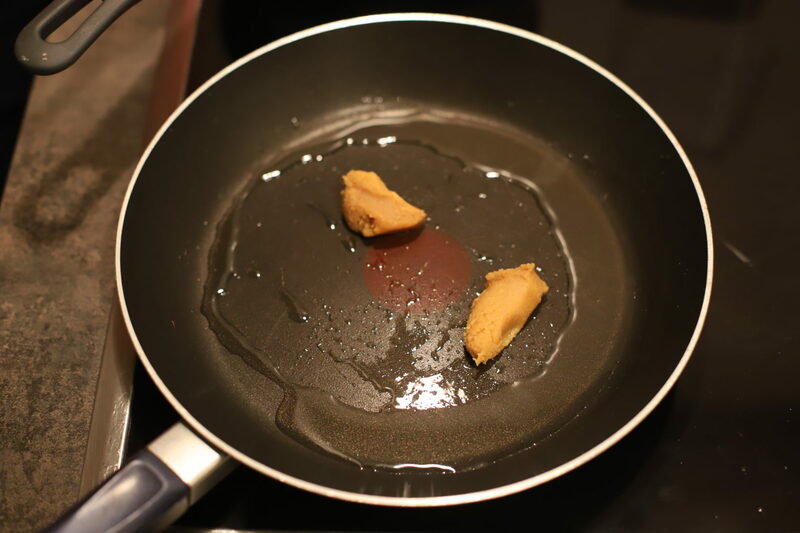 Pour the miso paste into the pan. Let it fry for a few moments. Stir it and make sure it doesn't burn. Add the fillets. Put them on their broadside. Add salt & pepper. Let them fry on their broadside for 5-10 minutes on medium heat. Add the sesame. Turn the fillets upside down for a few times. Take them off the heat. Cut each fillet into two halves. 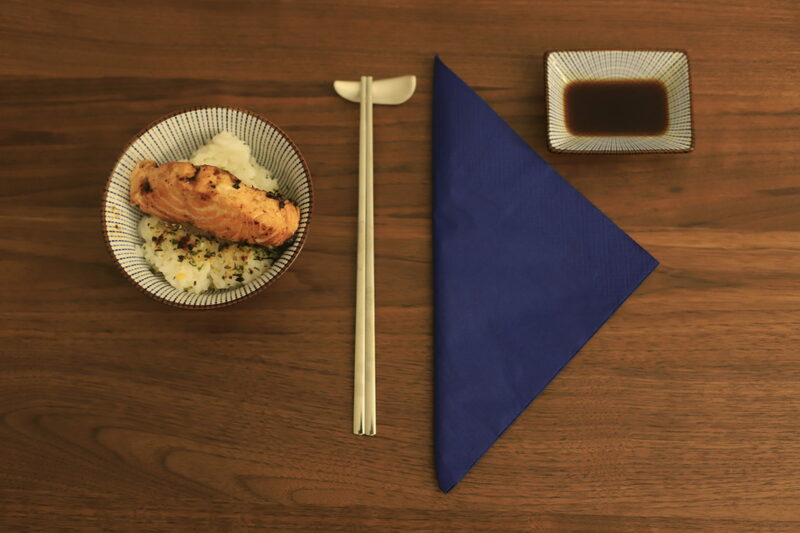 Serve two halves of fillet on each bowl of fresh Sushi rice. Make sure both fillets are approximately the same size and 150g each. This recipe uses a cut fillet with all bones removed, but the skin still on. 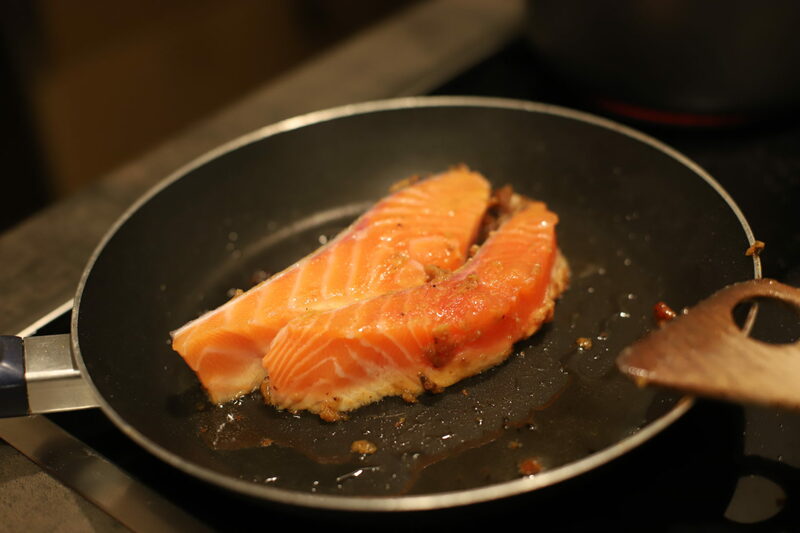 If you have a whole Salmon or are interested in how to prepare a piece of Salmon filet, please go to my Sake Sashimi recipe. This recipe is nicely combined with a Sake Sashimi as a starter and the fillet as a main course. For the rice, see my Sushi rice recipe.